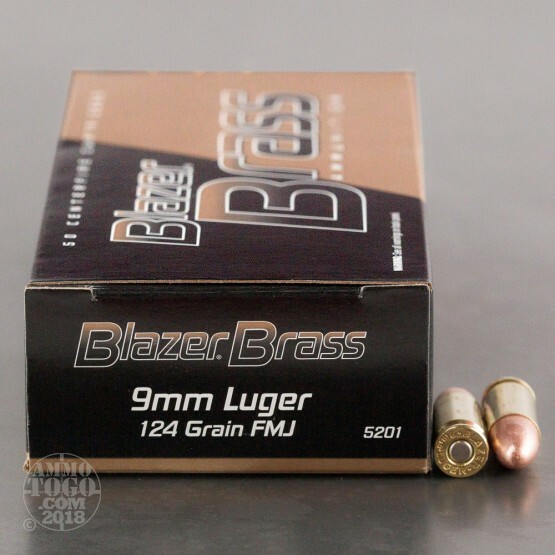 This package contains 50 rounds of Blazer Brass 9mm (also known as 9x19 Parabellum) ammunition. Each round is loaded with a 124 grain full metal jacket (FMJ) projectile. 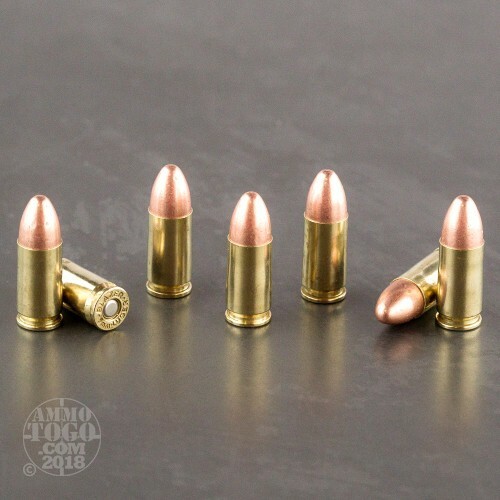 Producing minimal terminal expansion, these rounds are ideal for target shooting and tactical practice. Reducing the cost of high volume practice shooting, this Blazer Brass ammo doesn’t compromise on quality or reliability. 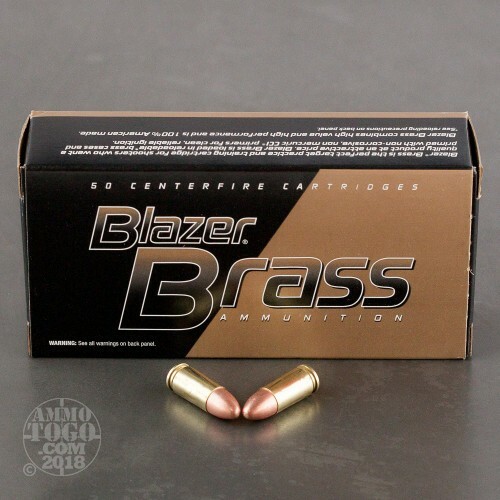 Setting the standard for practice ammunition, Blazer Brass allows you to shoot more rounds, more often, without breaking the bank. This new production ammunition features corrosion-resistant, reloadable brass casings for extra value, as well as CCI primers to ensure reliable ignition, and clean-burning propellants. Each round produces a consistent muzzle velocity of 1090 feet per second with 327 foot pounds of muzzle energy. This ammunition is built to Sporting Arms and Ammunition Manufacturers' Institute (SAAMI) standards. 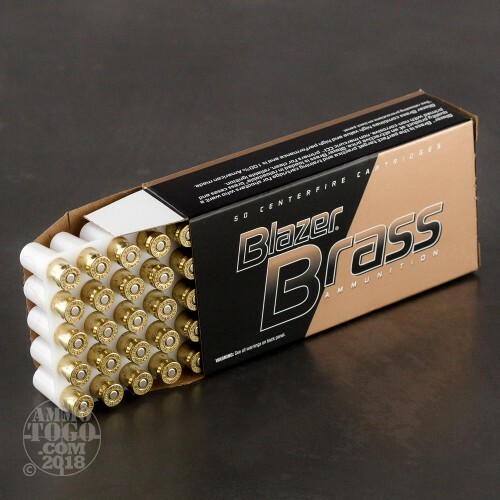 Also, backed by stringent internationally certified quality systems, these loads deliver a level of reliability and consistent accuracy guaranteed to please even the most discriminating shooter.